A British-accented militant who has appeared in beheading videos released by the Islamic State group in Syria bears “striking similarities” to a man who grew up in London, a Muslim lobbying group said Thursday. The Center for the Study of Radicalization and Political Violence at King’s College London, which closely tracks fighters in Syria, also said it believed the identification was correct. British counterterrorism officials wouldn’t confirm the man’s identity. 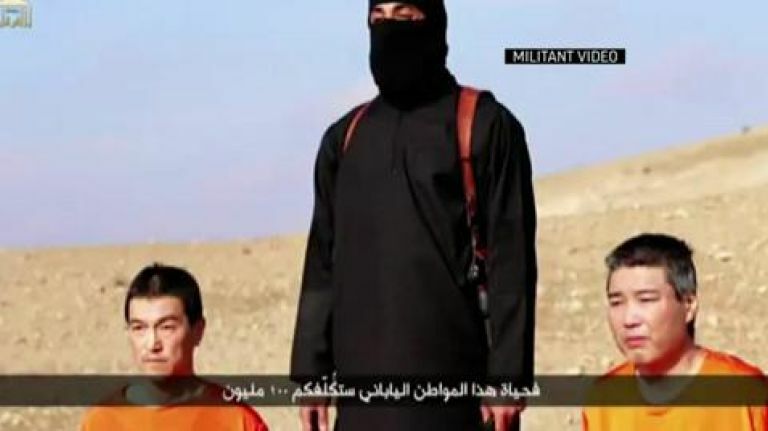 “Jihadi John” appeared in a video released in August showing the slaying of American journalist James Foley. A man with similar stature and voice also featured in videos of the killings of American journalist Steven Sotloff, Britons David Haines and Alan Hemming and U.S. aid worker Abdul-Rahman Kassig. According to The Washington Post and the BBC, Emwazi was born in Kuwait, grew up in west London and studied computer programming at the University of Westminster. The university confirmed that a student of that name graduated in 2009. The news outlets said Emwazi had been known to Britain’s intelligence services before he traveled to Syria in 2012. CAGE said it has been in contact with Emwazi for more than two years after he accused British intelligence services of harassing him. It said that in 2010 he alleged British spies were preventing him from traveling to the country of his birth, Kuwait, where he planned to marry. No one answered the door at the brick row house in west London where the Emwazi family is alleged to have lived. Neighbors in the surrounding area of public housing projects either declined comment or said they didn’t know the family.